The Vegetarian Myth by Lierre Keith is an intense discussion about health, food, and ecosystems. She spent 20 years of her life as a vegan. It destroyed her body and damaged her mental health. Her spine has irreparably degenerated, and is a source of chronic pain. She can never have children. Nobody warned her, not even her doctors. Her chronic malnutrition made her incapable of clear thinking. A primary objective of this book is to issue a loud and clear warning to current vegetarians, so that they might avoid learning important truths the hard way, before they suffer irreversible damage. If you are a vegetarian, and your health isn't perfect — if you have joint pain, if you are often cold or tired, if you never feel full after eating, if you have memory problems, if you are depressed or anxious or angry, drop everything and read this book. Keith critiques the fundamental vegetarian beliefs, many of which have developed a religious posture. She believes that all life is equally sacred, not just animals that are similar to humans. I agree. The Vegetarian Myth is a title that seems to be a bit too narrow. The main objective of this book is to present an illuminating primer on what everyone should know about food, and how it affects our minds, bodies, and ecosystems. This is super important information that they rarely teach in schools. Growing rice, wheat, and corn causes no less suffering and harm than meat. When farmers first arrive, millions of wild animals die, and the land is skinned alive. Corn-growing Indians caused substantial damage to soils and forests, like Old World farmers did. Industrial farming is far worse. It is rapidly converting wild land into cropland, cropland into wasteland, and aquatic ecosystems into dead zones. When you eat brown rice, you’re eating dead fish and dead birds from a dying river. Keith doesn’t discuss wild grains. The Indians of California foraged for wild grains in a non-destructive manner that is described in M. Kat Anderson’s important book Tending the Wild. The Anishinabe have been harvesting wild rice for centuries without harming their health or ecosystem (wild rice from California is not wild). Eating meat in moderation provides essential nutrients and is good for your health. Like the long-held belief in a flat Earth, the Lipid Hypothesis cult is stumbling in a rising tide conflicting evidence. In fact, the French, Greeks, Swiss, east Africans, and Pacific islanders enjoy a diet rich in saturated fats, yet have a low incidence of heart disease. Carbohydrates are killing our hearts, not cholesterol (be sure to read Weston Price’s masterpiece). Our planet and its residents are being destroyed by agriculture, overpopulation, consumerism, and a lack of spiritual connection to the land. The solution is to immediately and enthusiastically pursue revolutionary change in the way we eat, travel, think, live, and breed. If we don’t remember how to live sustainably, we won’t have a bright future. “These are our choices, as bare as that dead rock: accept our place as animals, a place both humble and wild, or impose ourselves and our food across our living home of land and sea and sky until the planet dies.” Amen! Keith, Lierre, The Vegetarian Myth — Food, Justice, and Sustainability, Flashpoint Press, Crescent City, California, 2009. In 1864, George Perkins Marsh published Man and Nature, the book that was the granddaddy of the modern ecology movement. Marsh was the U.S. Minister to Italy, and while overseas, he visited the sites of many ancient civilizations. This was a troubling and mind-expanding experience for him. Wandering through the realms of extinct civilizations, he realized that they were all victims of self-destruction. Marsh saw ancient seaports that were now 30 miles (48 km) from the sea. He saw ancient places where the old streets were buried beneath 30 feet (9 m) of eroded soil. He stood in mainland fields, 15 miles (24 km) from the sea, which used to be islands. He saw the sites of ancient forests, formerly covered with three to six feet (1-2 m) of soil, where nothing but exposed rock remained. He learned that the removal of protective trees and vegetation led to the loss of topsoil. He learned that irrigation often led to salinization — the soil became so salty that it was rendered infertile. There wasn’t much left of the formerly healthy ecosystems of the Mediterranean basin or the Fertile Crescent — places that once supported large thriving cities. With few exceptions, the modern population in these ravaged lands was far less than the population two thousand years ago. Most of the big ancient cities were either abandoned ghost towns, or desolate shadows of their former grandeur. In the realm of the former Roman Empire, more than half of the lands were deserted, desolate, or greatly reduced in productivity. Forests were gone, much topsoil had been lost, springs had dried up, and rivers had shrunk into brooks. Fertile lowlands had become malarial swamps. One unforgettable section in the book described in rich detail the arrival of farmers and herders in the French Alps. They had been driven into the mountains by population pressure. They whacked down the trees and then turned their livestock loose. The grazing animals stripped the land of all grass, and pulverized the scorched soil with their hooves. Without forest or grass, the land could retain little water. When the wet season came, the water promptly ran off, taking the soil with it. Tiny creeks turned into roaring torrents, and entire fields and villages were suddenly washed away. Some places were reduced to bare bedrock wastelands. Marsh was from Vermont, where ambitious Americans were working furiously to replace forests with farms, and villages with industrial cities. There were still vast numbers of passenger pigeons, “which migrated in flocks so numerous that they were whole days in passing a given point.” He thought that farmers spurred their numbers by providing them with abundant grain to nibble on, and by waging genocide on their natural predators, the hawks. Farmers hated hawks because they often snatched their chickens without paying for them. He was also amazed by the abundance of salt-water fish. “It does not seem probable that man, with all his rapacity and all his enginery, will succeed in totally extirpating any salt-water fish.” He could not foresee the arrival of industrial fishing, because he could not imagine human foolishness growing to such magnitude. In Europe, he could observe the ruins of many civilizations, and note that this was how most experiments in agriculture ended. In America, he observed the same process in its infancy. Marsh was painfully aware that all of the worst mistakes made in the Old World were being imported to America, with similar effects. The destruction of Old World civilizations had taken centuries, but Americans had all the latest technology, and their ability to ruin the land was far more efficient. Loggers were busy harvesting lumber in the mountains of New York. Hunters were busy driving the passenger pigeons to extinction. Farmers were destroying the vast healthy grasslands. It was not difficult to accurately predict the consequences of this madness. The Western world was out of its mind with Perpetual Growth Fever, and everyone cheered for skyrocketing prosperity — nothing was more wonderful! The fever continues to rage today. Marsh lamented, “The fact that, of all organic beings, man alone is to be regarded as essentially a destructive power….” He realized that he was living in a world gone mad. He could very clearly see a horror show that the rest of society denied and disregarded. Marsh was a brilliant outside-the-box thinker who was fully present in reality. He cared more about the vitality of the ecosystem than for temporary bursts of prosperity. He had a spiritual connection to life. He radiated intense common sense. He sincerely believed that it would be wise to learn from our mistakes, rather than endlessly repeat them. He thought that it would be wrong to remain on a path that would inevitably transform America into a wasteland. In 2007, friends in California’s redwood country were hammered by floods. Loggers, who were working upstream, vigorously denied that the floods had anything whatsoever to do with their recent clear-cuts. It was a pure coincidence. Amazingly, the loggers were not seized by angry mobs and lynched for spewing such colossal lies. They got away with their crime because the education system has utterly failed to provide society with a competent understanding of ecology and sustainability. Marsh did a decent job of providing readers with the ABC’s of ecology. Many years have passed since the first edition of Man and Nature was published. For the most part, his book has survived the test of time, and remains valid and important. But almost no high school (or university) graduates (or their instructors) would recognize Marsh’s name, or be able to intelligently discuss the history of logging, agriculture, topsoil destruction, and the fatal flaws of civilization — essential subjects that every citizen should understand in elementary school. Richard Manning is a visionary thinker and writer who lives in Montana, and I am especially fond of his work. His book Rewilding the West contemplates the notion of removing the fences, cattle, and sheep from western ranching regions, and allowing the original wild ecosystem to recover — buffalo, wolves, prairie dogs, and every other wild critter native to the land. Wild salmon used to feed many cultures around the world. The seas produced abundant fish, with no human management whatsoever. On the other hand, farmed salmon are a disaster. Nature does an excellent job of raising fish, but aquaculture corporations do not. In a similar vein, nature’s design for producing wild buffalo was brilliant. But the imported and artificial system of raising domesticated cattle and sheep on the western plains is dysfunctional and destructive. Long ago, the artist George Catlin spent time among the buffalo-hunting Indian tribes. He reported that they were very healthy, long-lived, and happy people. He repeatedly commented on how tall they were. The Indians enjoyed a way of life that was in balance with nature, until they acquired domesticated horses. Mounted hunters were able to kill more buffalo, and they did, which brought an end to sustainable living — even before the robe trade business began, which greatly increased the slaughter. Once the buffalo were exterminated, in came the ranchers. Cattle evolved to thrive in the milder and wetter ecosystems of Europe. In the West, they did OK in moist years, but died like flies during droughts and extreme winters. Cattle grazed more intensively than the native buffalo, causing serious damage to the grasslands. 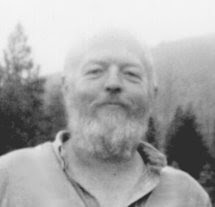 Garrett Hardin is famous for his essay The Tragedy of the Commons, which argued that people take better care of privately-owned lands than they do of commons, because of rational self-interest, and the ability to control access. But this was not true in buffalo country, where the grasses thrived under occasional grazing, but got thrashed under repetitive grazing, when the cattle and fences arrived. In the good old days of sustainability, 30 million wild buffalo thrived on the grasslands in a state of relative balance. Today, they have been replaced with 30 million cattle, which depend on huge subsidies of corn, grown on subsidized farms in the Midwest, which are destroying precious topsoil, and poisoning precious aquatic ecosystems with their chemical runoffs. In Manning’s opinion, “agriculture is by far our most destructive activity, because agriculture is fundamentally unsustainable.” Hunting and fishing can be absolutely sustainable if it is restricted by a system of rules and regulations (or rational self-control). But no rules can make agriculture sustainable. The vision is to create a prairie preserve larger than Yellowstone Park, a home where wild bison, elk, bears, and wolves can run free — the American Prairie Reserve, located in north central Montana, in the region of the Missouri Breaks, beside the Missouri River ("Breaks” means the edge of the plains). The project was launched in 2005, on a small scale, with big dreams for the future. Mannning, Richard, Rewilding the West — Restoration in a Prairie Landscape, University of California Press, Berkeley, 2009. I would also recommend two other Manning books: Against the Grain and Grassland.